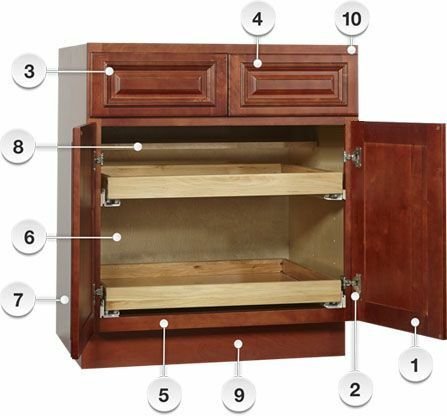 Do you know what features to look for in a quality cabinet? That's OK most people don't. ​Of course, they have to look beautiful, match your style, taste & budget but there's more. Our cabinets have all of these, yet we are less expensive than the giant national home improvement stores. Premium Cabinet Studio cabinets are up to 50% off MSRP. ​Come to our showroom & let us show you! ​ 1. Solid wood door frames. 4. Inside drawer height is 2½"
8. The shelves are ¾"